Scent Republik scent stiks were created by two dads who wanted to make a fun beauty product suitable for tweens and young teens, a feel good perfume product just for them. I tried out the BFF which is a Rose, Freesia and Magnolia scent combination and the YAY! Which is orange, apricot and hibiscus flower. I loved them! They’re fun and colourful perfect for tweens. Essentially they’re just like a felt tip pen but with a scent instead of coloured ink they are super creative and fun. The cool design is easy to use and apply perfect for a first perfume based product as they won’t spill or ruin anything. The scents are all sweet, fruity, fresh and fun although the BFF scent stik smells like genuine perfume as it has a very floral perfume scent. The orange ‘YAY!’ stik is ace, I loveee this scent it has an orange citrus smell and gives good summer vibes it’s nice fruity smell sets a happy mood and is suitable for tweens for any occasion. These are perfectly suited to the tween market. They are fun, cute and mood boosting. They are also cruelty free which I really loved. Now I do have sensitive skin and these didn’t irritate it at all. A great little product, easy to carry around, easy to use and smell great. I also think these are great used on birthday cards for your friends too – just to add a little scented touch. Cute! You can also use the scent stiks together to create a layered scent combination. 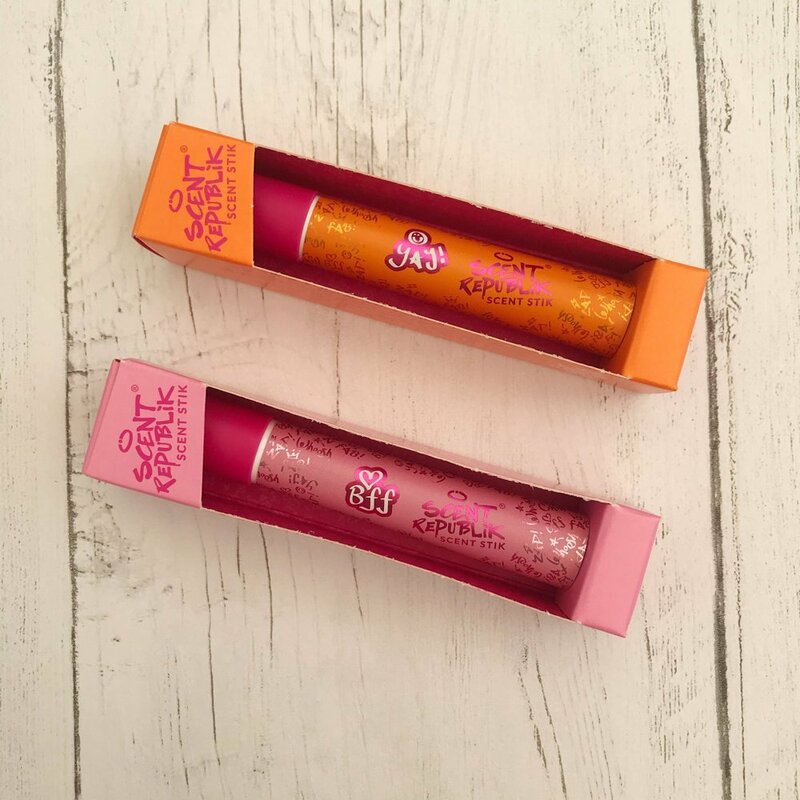 Scent Republik Scent Stiks are priced at £4.95 and available from Scent Republik, Superdrug and The Perfume Shop. Disclosure – the Scent Republik scent stik’s were provided free of charge for review, for full details of my disclosure policy please read here.